It is time for a few Prima sneak peeks, right? Presenting HAVANA, a gorgeous new collection, filled with delightful imagery, sun-kissed florals, and a retro Havana style! 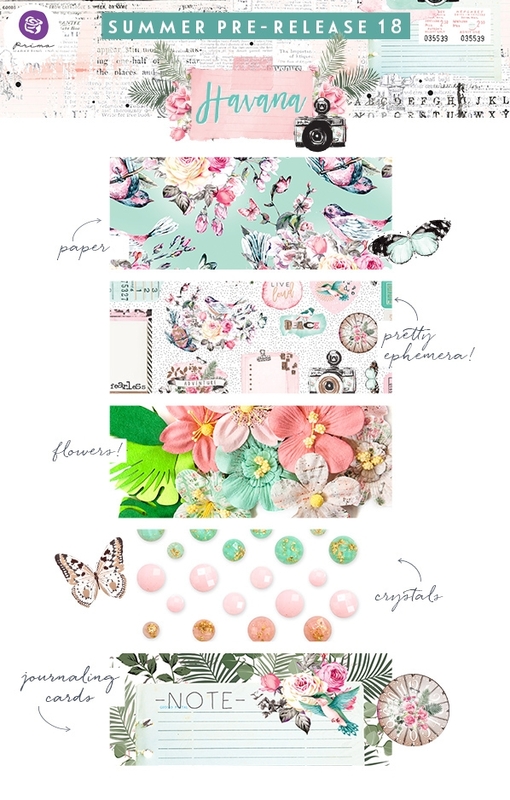 Stay tuned this week as we share another gorgeous new collection + more new Prima products with you!